For some people, music can not be separated from everyday life. They always listen to music everywhere, especially when they’re spending their best time at home. Thanks to the rapidly growing sound system technology, you currently don’t need to use a large speaker to get the perfect sound. You can use a portable bluetooth speaker, in addition to its small size, you also don’t have to worry about the connectivity problems, because this device can connect directly to your smartphone via Bluetooth. So, which portable speakers work best for you? Check them out! Check our recommendations for the best 4K monitors! The smart and useful device that will be explored more in this wireless speaker review is Amazon Echo. This smart speaker will fill the room with its immersive omnidirectional audio that can turn in a circle to any direction in 360 degrees. Amazon Echo is available in two colors, black and white. The device consists of a cylinder speaker and seven pieces of microphone arrays. With the size of 9.25 inches (23.5 cm) and weight about 2.4 pounds, this wireless speaker has some special and beneficial features just for you. As the name inferred, Amazon Echo is manufactured by Amazon. 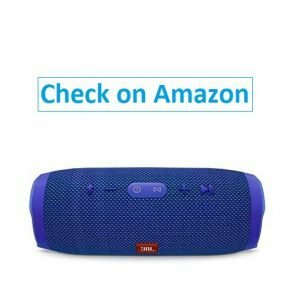 This portable speaker allows you to play all your favorite music from Amazon Music, iHeartRadio, Spotify, Pandora, TuneIn and several other music players. With this feature, you can operate any music application you like and play any song you want by using only your voice. Far-field voice recognition supports this voice service. You will be able to reach it from any side of the room, even when the music is playing. Other features offered by the Alexa Voice Service in Amazon Echo include calling and messaging. Amazon introduces the service as a new way to enhance your communication with family and friends. When you want to call them right away or want to be together with them, all you need to do is asking Alexa to call or message them by using one of three available applications: Echo, Echo Dot, or the Alexa App. In addition to the music player, calling and messaging service, the Alexa Voice featured in Amazon Echo is designed to make your life easier with its ability to answer your questions based on the program attached to it. Information services such as reading the news or audio books, reporting traffic and weather, giving info on local businesses, and providing sports score and schedule are also included in the Alexa Voice Service. 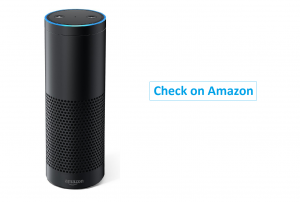 Amazon Echo provides some popular services to perform its features. Local radio stations, such as NPR and ESPN, are available to deliver the news, while audio books can be accessed from Audible. As for the weather report, AccuWeather is chosen to be the service in this wireless speaker. The voice interaction with the computer assistant, Alexa, can be used as well in creating and setting the tasks or schedule for your daily activities. You can ask Alexa to set the alarms and create shopping or to-do lists just for you. Amazon Echo and its Alexa Voice Service offers more features in simplifying your tasks at home. Controlling lights, locks, switches, fans, thermostats, sprinklers, and garage doors can be done easier and faster by connecting Amazon Echo with compatible devices. You can choose any application you want: Philips Hue, Nest, WeMo, Samsung SmartThings, ecobee and others. 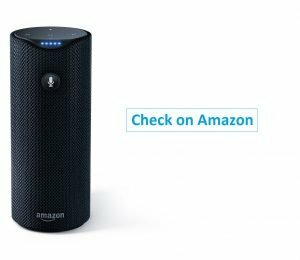 With its new features and thousands of skills, it is not surprising that Amazon Echo is considered as one of the best wireless speakers ever made in these times. 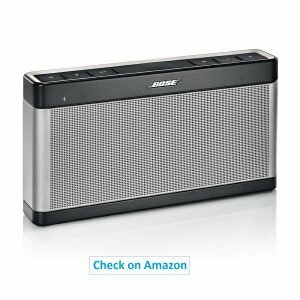 Bose SoundLink Bluetooth Speaker III is described as the kind of speaker that lets you enjoy your favorite music while hanging out together with your family, friends, or loved ones. It is said so because this Bluetooth speaker has the sound range that can reach up to 9 meters with its full depth and clarity features. In the shape of a small and thin bar, the device’s dimension consists of 1.9 inches (4.8 cm) depth, 10.1 inches (25.6 cm) width, and 5.2 inches (13.2 cm) height, while it weighs 3 pounds or about 1.37 kg. While having a relatively simple and ultra-portable design with curved edges, this device is easy to grab and to be brought anywhere you like. It is also built with a rechargeable battery whose life can be up to 14 hours after one single charging. The better and more protective design of your speaker can be fully equipped with colored accessory covers. The covers are made from silicone button panel that is functioned to protect your device from dirt and dust. Although the cover is sold separately, it is better for you to use it in addition to your speaker device because it has two main advantages: personalizing your speaker and providing further protection from any harm and scratch. Compared to its other popular predecessors that are manufactured by Bose Corporation, Bose SoundLink Bluetooth Speaker III is considered by the company as the best sounding performance of mobile and portable Bluetooth speaker. 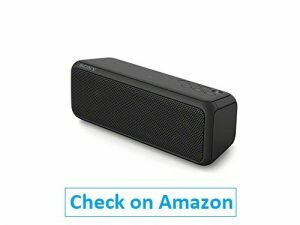 It has resulted in good feedbacks under the tag of Bluetooth speaker reviews, due to its newest advance technologies that can produce fuller, clearer, and a deeper sound of your music. 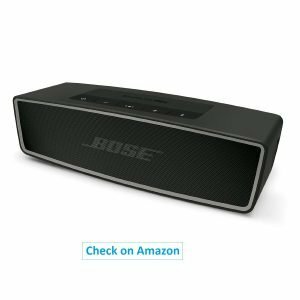 With more advanced technology and unquestionably higher price than its successors, Bose SoundLink Bluetooth Speaker III certainly deserves more appreciative reviews because of its sound features that have better performance. Unlike any other portable speaker in similar size, it has more powerful sound and volume. Equipped with four drivers and two passive radiators, this portable Bluetooth speaker provides full-spectrum audio and clarity that will not be influenced by high volume levels. This new product of Bose series also has the optimized bass performance for more energetic and forceful experience of music listening. The connectivity system of this mini portable speaker consists of 6 Bluetooth device memories in 2.1 integrated systems. Bose SoundLink Bluetooth Speaker III can be connected wirelessly to your smartphone, tablet, or other devices that acquired Bluetooth technologies. The wireless connection is supported by AUX input device that enables audio connection from other connectible sources besides Bluetooth, enhancing better versatility service of the system. The device also allows you to update system software and Bluetooth compatibility by using Micro-USB port. Other additional features offered by Bose SoundLink Bluetooth Speaker III include on-device indicator buttons to control system status and power as well as 54” flatted and folded cord that allows you to bring the speaker in tidier and more compact way while traveling. With its special and advanced features, this device is expected to provide better service and to fulfill your needs in enjoying your favorite music. “Listen wirelessly, charge endlessly” is the advertising slogan of JBL Charge 3, a waterproof portable Bluetooth speaker that is believed as one of the top Bluetooth speakers developed by JBL Manufacture. JBL Charge 3 offers you one complete package consisting of an ultimately high and powerful portable Bluetooth speaker and a power bank for charging your smartphones or tablets. The device’s dimensions are 9.1 inches (213 mm) width, 3.4 inches (87 mm) depth, and 3.5 inches (88.5 mm) height. Its weight is 1.8 pounds or about 800 grams. The speaker is equipped with a built-in microphone and is available in five different colors: black, blue, gray, red and green. JBL Charge 3 has several superior features which support the device to perform its ultimate service. All the features have different use and benefits to provide high-capacity battery charging for your devices, smartphones, or tablets. The first feature of JBL Charge 3 is Wireless Bluetooth streaming. This feature creates a wireless connection with two or three other smartphones or tablets. The function can be operated while the device takes a turn in playing stereo sound with a great and powerful effect. Also, you can access voice integration service, such as Siri or Google Now, with a simple button press from your JBL speaker. Since the side function of JBL Charge 3 is charging your smartphones or tablets via available USB ports, the device is also supported by 6000mAH power bank. The standard life of built-in rechargeable Li-ion battery can be up to 20 hours after it is fully charged. However, the play time may vary according to volume level and content that chose by the user. What makes JBL Charge 3 special is this next feature, IPX7 Waterproof. The technology of IPX7 waterproof will dispel all your worries for rain or water-spilling. With IPX7 Waterproof, you can even submerge JBL Charge 3 in water under certain condition. The speaker device can only be immersed in water for 1 minute up to 30 minutes. The fourth feature, Speakerphone, is useful to connect you and other JBL users in voice call service. It is equipped with the noise and echoes canceling technology. The technique used in this feature can overcast any bothering noise and echo when you make calls from the speaker, creating a clear voice. Besides making voice calls, another feature offered by JBL Charge 3 in enhancing its users’ connectivity is JBL Connect. This feature can connect multiple users from different JBL device. It also allows you to build your ecosystem that can amplify the listening experience as well as enable different users to interact together. As for its material device, JBL Charge 3 uses durable fabric and rugged rubber housing. Such lifestyle materials allow you to stay energetic and determined in all your adventures. This product type also comes out with carrying case accessories that can protect your device. JBL Xtreme Portable Wireless Bluetooth Speaker is manufactured by Getting Fit company. This portable Bluetooth speaker is available in three colors: black, blue and red. Its dimensions consist of 12.5 inches (283 mm) width, 8 inches (126 mm) height, and 7.5 inches (122 mm) depth, while it weighs 1 pound or about 2112 gram. 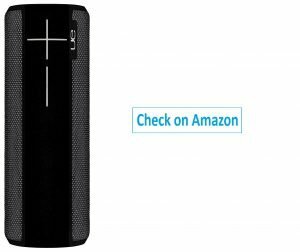 Like another JBL product, JBL Charge 3, JBL Xtreme Portable Wireless Bluetooth Speaker has ultra-powerful performance and comprehensive features. There are multiple features that both JBL Charge 3 and JBL Xtreme Portable have. Those features include wireless Bluetooth streaming, Speakerphone, JBL Connect, JBL Bass Radiator and Voice Assistant Integration. The first feature, wireless Bluetooth streaming, allows the device to connect to two or three smartphones or tablets. While connecting to three different devices, the speaker takes a turn in producing the earth-shaking effect with great power stereo sound. A speakerphone as the next feature produces clear sound in voice calling service that you make with friends, families, or anyone you like. It can be operated by only touching one single button of your device. This feature is supported by the noise and echoes canceling speakerphone. Besides this feature, you can also access Voice Assistant Integration, such as Siri or Google Now, from your JBL Xtreme speaker with only pressing one simple button. More feature offered by JBL Xtreme portable wireless Bluetooth speaker is JBL Connect. It enhances the listening experience that can be amplified by using its connectivity service. In addition to the previous benefit, this feature can create your ecosystem that consists of you and your friends as well as enabling all the users to enjoy the feature together. The feature that makes JBL Xtreme having ultimate sound production is JBL Bass Radiator with its slogan, “heal the bass, feel the bass, see the bass.” The bass service uses double external passive radiators to demonstrate great power of this portable speaker. Lifestyle material of this product also enhances the energetic and determined all the experiences and adventures of yours. The material is made from durable fabric and rugged rubber housing. JBL Xtreme portable Bluetooth speaker is built by high-capacity 10.000mAH rechargeable battery. Li-ion battery supports the device to have a playtime of 15 hours and charges devices via dual USB ports, although the playtime may vary by chosen volume level and content. Another feature, splash-proof technology, will fade away your worry about rains or spills. You are free to use this portable Bluetooth speaker under the rain or in the poolside. You can even clean it with running tap water. However, it has not built to restrain from water submerging, unlike another type of product, JBL Chare 3. 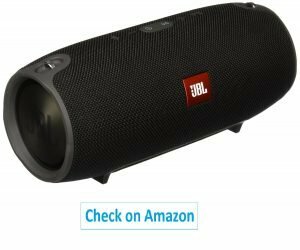 JBL Xtreme Portable Wireless Bluetooth Speaker is the ultimate speaker device that can easily produce the great power of sound with its echo-certified and earth-shaking stereo sound technology. The stereo is incorporated with four active transducers and two visible JBL Bass Radiators, creating an effective Bluetooth speaker with powerful sound and transportable device. The compact and portable speaker, Sony SRSXB3/BLK, offers the highest quality in producing incredible sound whenever you play your favorite music. Manufactured by Sony, this portable wireless speaker with Bluetooth is listed as one of the best Bluetooth speakers in these times. Sony SRSXB3/BLK is equipped with two-channel speakers and two passive radiators. For the input and output terminals, the device has stereo minijack and USB A Terminal. With satellite speaker size and Clear Audio+ sound mode, this portable speaker can produce a sound that is beautiful and enjoyable to hear. Its ability to bring out the best experience in listening to music is supported by Extra BassTM technology, providing the special feature that works best with Electronic Dance Music (EDM) and basically, with any music. The innovative discovery of Extra BassTM technology in Sony SRSXB3/BLK improves the sound quality as it makes the sound deeper and punchier. With the dimensions of 9.8 inches (24.5 cm) x 5 inches (12.7 cm) x 7.7 inches (19.6 cm) and 2.91 pounds (930 g) in weight, Sony SRSXB3/BLK is specifically designed to build as a bass speaker. The light diaphragm that is attributed to 48 mm large full-range speaker unit consists of a powerful fixed magnet and long stroke. Those features support this portable speaker to reproduce a wonderfully deep bass sound. Sony SRSXB3/BLK that is available in at least six prime colors is easy to be carried anywhere you like. You can also enhance its productivity and make the speaker more powerful by connecting two speakers wirelessly for double stereo sound. The wireless connections that this portable speaker provides include One-touch Functions and Hands-Free Function Profile (HFP). It can be connected via Bluetooth as well, in 44.1 kHz frequency transmission range. Bluetooth service in Sony SRSXB3/BLK supports several profiles, including Advanced Audio Distribution Profile (A2DP), Audio/Video Remote Control Profile (AVRCP), and Headset Profile (HSP). As for the connector type in the device, the speaker is equipped with four pin USB Type A for power feature only. You can choose your favorite connectivity options for seamless streaming in wireless service. In addition to Bluetooth technology, Near Field Communication (NFC) becomes another connectable service that SRSXB3/BLK offers. Without the need of setting up complex sequences, NFC can simply be operated by one touch only. Just touch your device, and a second later, you will be able to start your music collection in streaming mode. By developing SRSXB3/BLK that is also known as SRS-XB3/BC SP6 and SRS-XB3/GC SP6, Sony offers you the compact and portable wireless speaker that can be optimized for worry-free use. With up to 24-hour built-in battery life and splash-proof as well as water resistant technology, SRSXB3/BLK is beneficial for your daily needs of the music. Playing incredible music day and night, indoor and outdoor, now can be done with ease. The technology used by SRSXB3/BLK is considered as eco-friendly technology. This type of discovery is sustainable over a longer period. It is also harmless for natural and global ecosystem since it has the features to save the energy. For you who love to enjoy an unforgettable full-music party or a simple gathering with friends and family, UE BOOM Wireless Bluetooth Speaker can be a perfect companion. With 360 degrees speaker that has bold and rich resonant sound, it is must be your Bluetooth speaker best choice. To put it in a wise consideration, the following are the details explanation of its features. UE BOOM operates with Bluetooth-enabled devices that support A2DP, such as smartphones, tablets, and personal computers. When you turn UE BOOM on for the first time, it turns into a pairing mode automatically and searches for a Bluetooth source device to pair with. Bluetooth wireless range between the devices is about 15 feet. If you take your source device out of range, the connection will be suspended. However, UE BOOM will automatically reconnect if the source device is in the range within 5 minutes. This Bluetooth speaker best choice employs a dual microphone, and it can be used as a speakerphone. When calls come into your music source device, UE BOOM will stop the music, and then let you take the call. UE BOOM is able to connect with two different Bluetooth devices at once. It is called “Multi Host” mode. For this mode, two music sources can be switched by pausing one and playing the rest. The next time the speaker is turned on, it will try to reconnect to the last device it was connected with. For more functions, it can also serve as an alarm to wake you up to your favorite songs. This function can play your playlists, favorite internet radio stations, and more from your iTune library, Pandora, Spotify, and so on. With 2.72 x 2.72 x 7.09 dimension and 1.2 pounds of weight, UE BOOM uses lithium-ion. Battery life is up to 15 hours between charges. If the energy goes down, the battery is rechargeable using a micro USB cable. For optimal battery charge, UE BOOM employs a special AC power supply and a micro USB adapter. When you Double Up, you will connect two UE BOOMs together to create a bigger sound. The easiest way to set it up is by using the Double Up option of the UE BOOM app. Once your UE BOOMs are Doubled Up, you will be able to play both speakers at the same time from one phone or tablet. And as the two UE BOOMs are synced for the first time, they will automatically Double Up the next time they are both turned on. Using Double Up app, you can set the speakers in two ways. First is stereo. In this mode, the two speakers play as a stereo pair, where one speaker plays as the left channel and another speaker as the right one. You can even choose which of the two UE BOOMs should be left and right. The second is double. In this mode, the two speakers play the same streams. It is not an excessive thought to call this product as a Bluetooth speaker best choice after seeing the series of exceptional features above. Moreover, the various optional colors are hard to resist. On the first step you enter a party, it feels splendid when a heart-pounding music welcomes you. Right in the middle of the crowd, louder and bolder beats create a lively atmosphere. However, working alone in a roomy place might require the same thing. Listening to favorite playlist from personal library and other providers while working on something can boost the mood. To enjoy an insanely good, loud 360-degree sound with deep bass, you need to have a look over UE BOOM 2 because of this portable Bluetooth speaker suits to the preference. Following are the details about UE BOOM 2 specifications and features. For the wireless capabilities, this product pairs with up to 8 Bluetooth-enabled source devices. Wireless multiple streams can be played up to 150+ Ultimate Ears speakers from one source. The range between the speaker and the mobile device is about 100 feet. The maximum sound level is 90 dBA with frequency range around 90 Hz to 20 kHz. It has two 45 mm active drivers, two 45 mm x 80 mm passive radiators, and a rechargeable lithium-ion battery for 15 hours between charges. To get a fully charged energy, it needs at least 2.75 hours. To complete the performance of this portable Bluetooth speaker, the manufacturer designs it as a waterproof and shockproof product (IPX7 rated). UE BOOM 2 can be placed up to 1 meter deep under the water, for 30 minutes. What UE BOOM 2 offers to you? Besides the PartyUp capability, which allows you to connect wirelessly with up to 150 other Ultimate Ears speakers using UE apps, this awesome stuff also provides you more, like Alexa Voice control with Amazon Echo Dot. UE BOOM 2 is compatible with Amazon Echo Dot for Alexa voice control app. Using this application, you can ask Alexa to play music from applications like Spotify, Amazon Music, iHeartRadio, Pandora, and TuneIn on your Ultimate Ears BOOM 2 in hands-free mode. To control the music flow, this portable Bluetooth speaker uses two simple ways; just tap the top of Ultimate Ears BOOM 2 once to play or pause, and twice to skip songs. If you are using three Bluetooth devices, you can use Block Party to manage the turn of the music play. Additionally, do not forget to set your perfect EQ for certain music mood and nuance, and Musical Alarm as your daily activity reminder. The best part of having UE BOOM 2 Phantom Wireless Mobile Bluetooth Speaker is, you can own a simple setup, operation, and portable product. Moreover, it gives you more options in enjoying favorite entertainment with its exceptional features, like compatible to Echo Dot, able to wirelessly stream with other UE BOOM 2, and can be paired with more than one Bluetooth devices. Since the manufacturing includes the waterproof and shockproof features, you can bring along this technology to a broader type of place. Having this speaker, you will get a perfect companion for your adventure, special moment, or a leisure time at home. Capable of enjoying any type of entertainment without something get in the way is everyone’s wish. It becomes more fascinating if the devices are easy and comfortable enough to be placed and carried to anywhere you want, or suitable for the decoration at your home and workplace. To answer all those needs, here is Bose SoundLink Mini Bluetooth Speaker II, a portable wireless speaker. Its size is small enough for a single grab, but it is able to serve you the fullest listening experience. You can place it in your bedroom, office, or porch without any great effort. Following are more information about this product, which will help you to make a decision. This portable wireless speaker is manufactured without any chord. It means you do not have to plug it when you want to turn it on. And this simple setup becomes perfect with the long battery life that is up to 10 hours non-stop playback on full charge. If the lithium-ion battery goes low, you can use Wall Charger by plugging it directly to the speaker or connecting it to the Cradle Charger first. And when you are outside, charge using a USB can be done easily. BOSE SoundLink Mini Bluetooth Speaker II can be paired with more than one device, like a tablet, laptop, and mobile phone via Bluetooth. If you want to switch the music from one device to another, you only have to turn off the music from the first device, and then play it from the second one. The dimension of this product is 7.1 x 2.3 x 2 inches and weighs about 1.5 pounds. With this size, you can put it on a bookshelf, or even in a handbag. And the color, that is soft-black, fits any room design. The small size, however, does not mean it has a small sound delivery. Built-in big sound with deep bass, it will provide you a full range of listening experience. And the clean vocal lets you enjoy the speakerphone feature while making a phone call. To protect the aluminum casing from scratches, the manufacturer also offers some optional speaker soft covers. There are several color choices, like gray, charcoal black, navy blue, energy green, and deep red. With the various options, you can choose by your style preferences. On the old days, the portable wireless speaker might not appear in anyone’s mind. But in the recent moment, many options stand in front your very eyes; offers you various answers for a particular need. Along with the development of modern technology, manufacturers urge to create more products that suit people situations and demands. The changes might happen to the size, power supply tools, or to the assistance of a certain network. This interesting product is not an exception. It proves you by providing a soft and mini shape, multiple pairing list, long battery life, and wireless device. With the portable wireless speaker, you can have a simple and practical belonging to enjoy music and add more colors to your daily life. Nothing is simpler than a ready-to-move stuff, like Bose SoundLink Color Bluetooth Speaker II. A great design and feature are gathered in your hand, allowing you to listen to music anytime, while you are doing an indoor or outdoor activity. And the action is complete with an ability to connect with an integrated application that suits to your mobile phone system. Whether you are having a garden party or dinner in the dining room, you must wish to enjoy a smooth moment without any disturbance, even a small one like ran out of power. In this case, a device with a long-life battery is required. To answer the demands, Bose offers you a product with all the condition above. Following are details of this top Bluetooth speaker. After reading the explanation about it, you can consider whether to buy the Aquatic Blue, Coral Red, Soft Black, or Polar White color. This top Bluetooth speaker uses a soft-touch silicone exterior, making it easy to grab. Besides being covered by a durable material, the speaker is also created with a splash resistant feature. So, it does not matter when you are near a swimming pool or under a heavy rain. The dimensions of this speaker are 2.2 x 5 x 5.2 inches, and weighing about 1.2 pounds. Built in a square shape and small size, the device is portable, making it a great choice for any events anywhere. Bose SoundLink Color Bluetooth Speaker II uses a lithium-ion battery. For a longer entertainment, the battery lets you enjoy your music playback up to 8 hours. Recharging the device can be done easily using a USB cable. You can connect it to a laptop or plug it to a Wall Charger (Wall Charger is not included in the box). You can pair this speaker with your mobile device using Bluetooth wireless technology NFC (Near Field Communication). At the first time you turn on the speaker, it will search your mobile device in an automatic way. When the devices are paired, voice and light notice will appear. The pairing method can also be done on mobile devices that support NFC system. NFC is a technology that enables mobile devices to establish wireless communication with each other by simply tapping the mobile devices together. If your mobile does not support it, basic Bluetooth pairing is also possible. Or, you can download Bose Connect for easier Bluetooth connection management. Easily connect to and switch between multiple mobile devices with a single swipe. With a smarter technology, almost all of your demands can be fulfilled by only a single device. This top Bluetooth speaker is one of them. So, what are you waiting for? 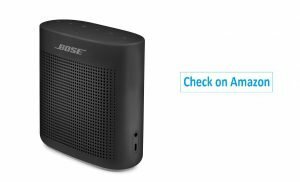 Purchasing Bose SoundLink Color Bluetooth Speaker II, you will be one of the people who are able to experience a fascinating product. There is no doubt that technology has been part of people daily life. You need devices to simplify your life, to make your daily routines easier. The more sophisticated it is, the simpler your life will be. And with all this simplicity and sophistication, there is a better chance of a happy and fulfilling life. For instance, you are baking some melon bread and then need a timer. Your hands are busy, so you just use your voice to set the time. Twenty minutes later, the timer rings to remind you that the bread has been ready to serve. Another example, it is time to hang out with friends, but you are not sure about the weather. With a smarter technology, asking for weather quick report is possible. While waiting for the appointment, listen to news reading will be another option. Imagine those kinds of experience provided by the best Bluetooth speaker! Amazon Tap is portable Bluetooth and Wi-Fi enabled speaker that provides you full-range sound. It has a dual stereo with 360° omnidirectional audio, and this product is powered by Dolby technology, which will serve you clean and clear vocals. So, how about Alexa? She is a cloud-based voice service of Amazon. Using this app with internet assistance, you can say your simple wish, like a request for information and news, or order products and services. After installing the Alexa App and connecting Amazon Tap to Wi-Fi or mobile hotspot network, you are omnidirectional to the device. You can ask her to play various songs, inform the weather report, read the news, and so on. These services are streamed directly from Music Amazon, Pandora, iHeartRadio, TuneIn, Spotify, and much more. You can also play your own music by connecting the device via Bluetooth. The basic ways in operating Amazon Tap is by tapping or pressing the Microphone button and then talk. Since this best Bluetooth speaker has been upgraded, the hands-free mode is also possible. For battery life, Amazon Tap provides at least 9 hours non-stop playback. While the hands-free mode costs more energy; the Tap provides up to 8 hours because the microphone has to stay on. With the length about 6.3 inches, width 2.3 inches, and weight 470 grams for Amazon Tap and 109 grams for the Charging Cradle, this device is ready to accompany you wherever you go. The performance becomes complete with the colorful options of Amazon Tap Sling, which will protect your Tap from bumps and drops. These compelling features of the best Bluetooth speaker can be the answer for your dream to have a simpler, smart, and automated home life control. The smaller size allows you to place and bring Amazon Tap anywhere. And the various services will help you in managing your daily needs. So, what are you waiting for? Purchase it, and then experience this interesting technology!